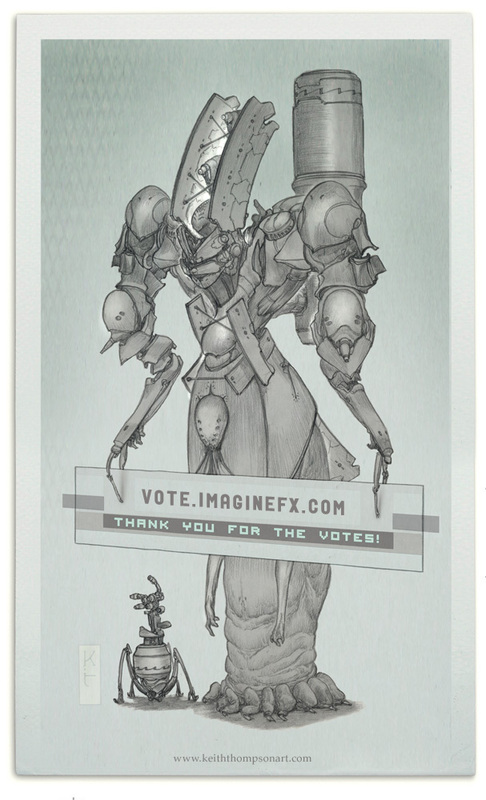 ImagineFX has mentioned that there have been a lot of votes coming in for me in their favourite fantasy artist category. I'm very touched, and I wanted to make something as a thanks to everyone who went out of their way to vote. If enough votes come in the next 8 days to manage a mentioned placement in the results I'll paint up the art of this being holding the "thank you" sign! I'll also write a small story about what it is and what its world is like. Right now it's a mysterious being offering a big thanks to everyone! I love this, it's so epic. Thanks Ben! I'll be posting the artwork and thanks to everyone tomorrow on Monday.